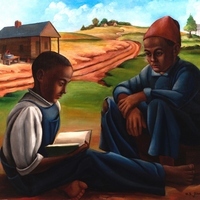 The Changing South, an oil painting created by William "Bill" Sterling Jenkins in 1940. 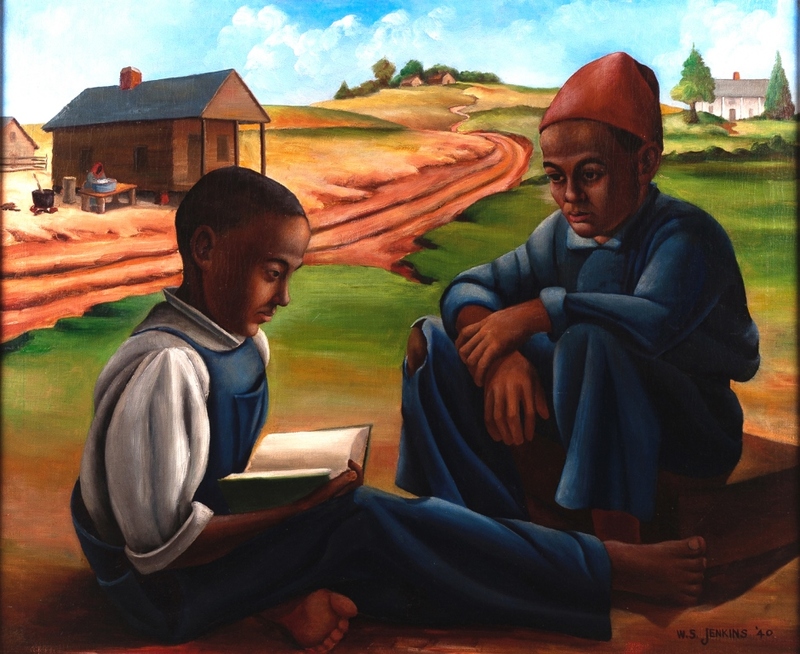 The painting depicts two African-American boys in Alabama. Original 32.5 x 38.75 inch oil painting: Jenkins, Bill. The Changing South, 1940: University of Central Florida Art Gallery, Orlando, Florida. Digital reproduction of original black and white photograph by Rick Lang. University of Central Florida Art Gallery, Orlando, Florida. Jenkins, William "Bill" Sterling. “The Changing South by Bill Jenkins.” RICHES of Central Florida accessed April 18, 2019, https://richesmi.cah.ucf.edu/omeka/items/show/5387.